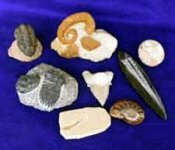 Everything Fossils...Fossil Information for Education, Collecting and Fun! If you want to know some basics like what a fossil is or how fossils are formed you will find it here. You can also find details about that trilobite that you found last weekend. You don’t have to be a paleontologist to enjoy learning about these extinct relics of the earth’s history. 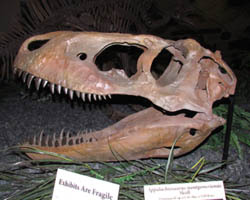 You’ll find teaching tips and innovative lesson plans, word puzzles and more about fossils and geologic time.We will review the best museums to visit and where you can go to dig your own fossils. Prepare fun and informative lessons to inspire your students’ learning. With free, downloadable materials, puzzles, and lesson plans that you can put right into your classroom with minimal additional preparation. Learn about these ancient specimens, where and how to find them either through rockhounding or at good prices. No matter if you are a teacher, a parent, a kid or kid-at-heart, we think you’ll find lots of cool info throughout our site. Anytime you are about to part with your hard-earned cash, you want to make certain you’ll get what you’re paying for. There are wide price variations, and you need to know if those price variations express genuine value differences. Sometimes they DON’T! If you’d like to get some tips to help you buy with confidence, check out Buying Fossils Online. Then follow this link fossils for fossil deals from our sister site at www.fossilicious.com. We’ve worked with wholesale dealers from all around the world and have learned a lot about how these ancient relics are sold and traded. This lets us pass on the Do’s and Don’t’s when purchasing so you won’t have to learn the hard way! We strive to provide our customers with quality service: feedback, comments, and questions are ALWAYS WELCOME! Let us hear from you! Tell us what we can do that we aren’t already doing! Hey! We’re teachers! We value all learning—EVEN OUR OWN!